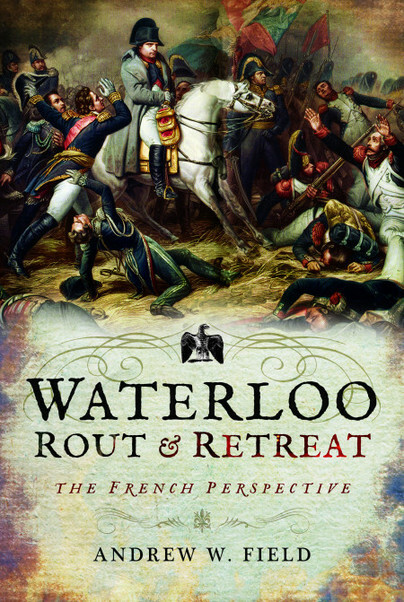 You'll be £25.00 closer to your next £10.00 credit when you purchase Waterloo: Rout and Retreat. What's this? This, the fourth volume in Andrew Field's highly praised study of the Waterloo campaign from the French perspective, depicts in vivid detail the often neglected final phase – the rout and retreat of Napoleon's army. The text is based exclusively on French eyewitness accounts which give an inside view of the immediate aftermath of the battle and carry the story through to the army's disbandment in late 1815. Many French officers and soldiers wrote more about the retreat than they did about the catastrophe of Waterloo itself. Their recollections give a fascinating insight to the psyche of the French soldier. They also provide a first-hand record of their experiences and the range of their reactions, from those who deserted the colours and made their way home, to those who continued to serve faithfully when all was lost. Napoleon’s own flight from Waterloo is an essential part of the narrative, but the main emphasis is on the fate of the beaten French army as it was experienced by eyewitnesses who lived through the last days of the campaign. This is a hefty, yet fascinating look into the outcome of the defeat at Waterloo. A fine conclusion to Andrew Field'd series of books on the Hundred Days' Campaign that offers a rather different perspective on the subject and is a book all serious Napoleonic wargamers will surely wish to add to their libraries. This, the fourth and final volume in the author’s impressive study of the Waterloo campaign from the French perspective, deals with the final phase, namely the rout and retreat of Napoleon’s army.